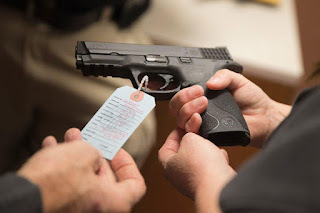 Union Ministry of Home Affairs (MHA) is going to create National Database of Arms Licenses system from April 2019. It will also eliminate possibilities of issuing arms licence to people with criminal antecedents. The decision was taken by exercising powers under Section 44 of Arms Act, 1959 (54 of 1959) by amending the Arms Rules, 2016. Any arms licence without UIN will be considered invalid. Besides, any existing licensee holding multiple licences will make an application for grant of single licence in respect of all firearms held by him under his UIN to the concerned licensing authority. In case of licence for restricted category of arms or ammunition, licensing authority concerned will issue new licence under the existing UIN of the licensee.